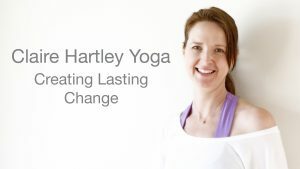 Claire Hartley vlog about how forgiveness sets us free and a story of her friends fathers forgiveness journey while in a concentration camp. A glimpse into the Rising Lotus Yoga Teacher Training Program. Go to www.risinglotusyoga.com to find the next training. Contact us at info@risinglotusyoga.com if you’d like us to hold a training near you. Claire Hartley’s Yoga Tip Hip Stretch Double Pigeon. Ankle stretch for greater flexibility and stability.